Our rubbing and polishing products are designed to optimize finishing results on all film-forming finishes. Products can be used by hand or machine. Pumice Stone is the coarsest compound to start with. Typically, the surface is sanded with 600 grit wet/dry paper, and then rubbed with 4F (medium/fine). This removes most surface irregularities. Use with Paraffin Oil below. 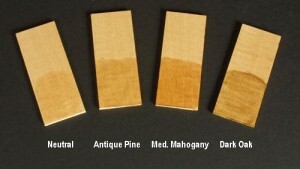 4F Pumice is also used in French Polishing. Rottenstone is used after 4F Pumice Stone to rub up to the desired gloss. Use to make pastes with the Rottenstone and Pumice Stone above. 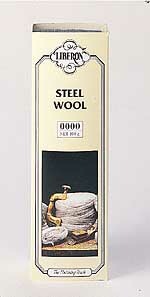 Also used with Abralon, steel wools and other products to achieve a very consistent rub pattern. Use with 0000 steel wool to rub-out minor surface imperfections, water rings, and restore damaged finishes. Use to achieve a very consistent, hand-rubbed satin effect. Use with #0000 steel wool or 3M Synthetic Steel Wool as the final rub-out on lacquers, shellac and rubbing varnishes. Also rubs-out minor surface imperfections and restores damaged finishes. Menzerna of Germany has been making polishing compounds since 1888. Considered among the finest products available, they are used by Steinway and Baldwin for their impeccable piano finishes as well as demanding guitar companies like Fender, Martin and Taylor. We now stock the same products used by these fine companies. 2L Pre-Polish Compound (#1) is for initial compounding, where you remove the scratches left by wet or dry sandpapers (it will remove 800 grit scratches on up). This is followed by 16 Fine Polishing Compound (#2). This will leave a mirror surface. For that deep-dish gloss, follow this up with the PO91E Intensive Polish (#3). 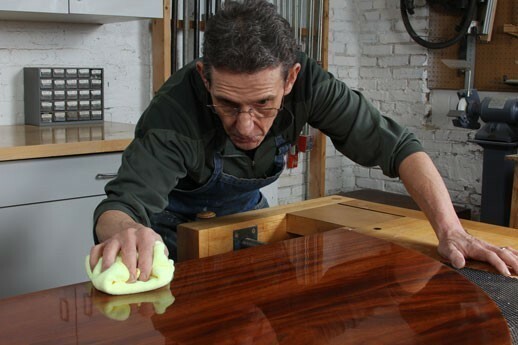 NOTE: When polishing compounds are used, the finished wood surface should be smooth. Fill any defects, gaps and open-grained woods (ash, oak, mahogany, walnut, etc. ), prior to clear-coats and polishing. Open-grain will trap the polish resulting in a whitish appearance. All products can be applied by hand with a soft cloth or buffer, after the initial flattening and leveling of the finish is done with sandpaper. The finish should be sanded to at least 800 grit before applying the 2L. Supplied in paste form, the products can be made to work easier by spritzing with a bit of water during use. SPECIAL! – Buy all 3 above products in a bundle only on our eBay store here. SURBUF™ HANDHELD PADS – These 3″ X 5″ hand-held applicator and buffing pads provide an inexpensive solution to a variety of surface application and cleaning needs. Use them not only to polish, but apply oil based stains and gel varnishes. These pads are great to use with various polishing compounds and pastes as well as pumice and rottenstone. Great for finessing small and hard to reach areas. This product excels as both a cleaner and a polish for virtually any surface. Best way to clean and maintain your project’s finish or a commercial factory finish. Also great for metals and plastics (I clean my bikes with it). Made as an emulsion with water and solvents, it cleans both water soluble and oil soluble grime and puts back the shine. Leaves no white residue. Highly recommended. 16 oz bottle with flip top dispenser. An ultraviolet light absorber helps protect wood color. Extended evaporation rate so larger pieces can be polished with greater ease. An anti-static agent that means less dusting. Has a clean, fresh lemon scent. Simply apply and wipe to clean, polish and protect almost any smooth surface. Non-flammable, non-abrasive, greaseless and contains no silicones. 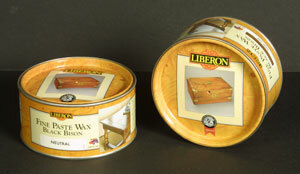 Endorsed by the Guild of Master Craftsmen, this product is a blend a several waxes, including carnauba. 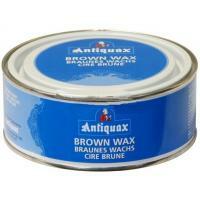 Use for general waxing and for cleaning and restoring antiques. Easy to use and has a pleasant scent so it’s great to use on the insides of furniture. 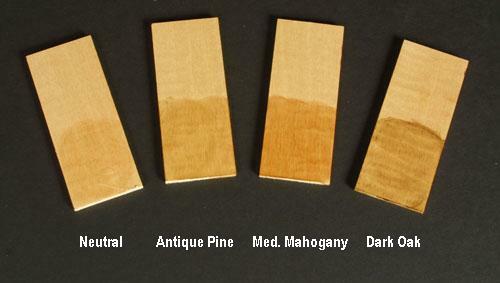 The popular colored waxes are applied directly to wood or used over a very thin shellac sealer to produce a very mellow and natural appearance. Available in a 500ml tin can. As featured in Fine Woodworking #159! Made in England, this is the best steel wool we’ve tested and used. It’s made with virtually no oil and is incredibly shred resistant. High tech manufacturing make this the top choice for cutting back (use 00), or rubbing out the final finish (use 0000). Produces those classic hand rubbed finishes.